We provide the highest quality and most complete product line; prompt on-time delivery and competitive pricing, delivered through our local distributors within each region. Click on one of the Distributor locations marked on the map to view their details or alternatively use the search filters to find all Distributors by Region and/or County. Born in 1979, BBC Fire Protection has grown locally and nationally to become one of the leading independent suppliers in the industry. Now into our third decade, the recipe for success looks deceptively simple: we combine expert knowledge of our field with a commitment to attentive, personal service. Our customers know that by choosing BBC they invest in an individual solution, not simply a piece of equipment. BDS is an independent company with its senior managers all having over 25 years' experience within the Fire Alarm & Life Safety industry. Our business is about delivering the right solution for our customers' requirements. We will only promote products offering the best solution to the customer's needs, making each and every project truly bespoke...BDS are the only Gold Partner to have its Headquarters in a London Borough and are able to resource & support our capital city and the home counties with confidence. Concentrating on this key area of the United Kingdom enables BDS to bring quality and flexibility when providing our full range of Fire & Life safety services. One hundred and eighty years of history and innovation have made Chubb into a global leader in security and fire protection. Our systems are used at the highest levels of government, defence, banking and top industrial and commercial companies. The name of Chubb will always be one that customers can rely upon. Crane has been responsible for the design, delivery, installation and maintenance of some of the most complex and high profile integrated fire and security systems in the UK and Ireland. Daemon Fire & Security Ltd can provide extensive advice on a range solutions covering the design, installation, commissioning and maintenance of Automatic Fire detection & Alarm systems, Air sampling, Voice Alarm, Fire Suppression systems and a full range of security systems, all tailor-made to suit your requirements. Dante Fire & Security was established in 2001 to provide the highest standards of service available in the fields of fire and security. Since this time Dante has grown steadily and now provide this high quality service to a growing number of blue chip organisations and public bodies. Defensor are specialists in the Fire Protection and Life Safety Industry. We are able to provide the Design, Installation, Commissioning and Maintenance of Fire Detection & Alarm Systems. Founded in 1996 the company has rapidly expanded to become one of the largest independent fire alarm systems companies with a national network of regional offices. With almost 50 years experience and an exceptional range of skills, services and products, we are the contractor of choice for building service solutions across every market sector. We enjoy excellent relationships with both clients and suppliers and whatever your requirements are we are uniquely placed to offer everything from planning and design to fabrication, installation and maintenance. FES Ltd is part of the Forth Holdings Group. Global Fire Systems Ltd are a market leader in providing quality products, solutions and services throughout the fire market place. We design, supply, install, commission and maintain all forms of Fire and Security Systems throughout the UK, providing service to a diverse client range. It was established in 1999 by the current Directors who are actively involved in the daily running. With unparalleled experience, reliability and professionalism LTL Systems are an independent BAFE accredited company. Specialising in fire detection and fixed gas extinguishing systems, we have been responsible for the design, installation, commissioning and servicing of some of the most high profile and technically challenging projects throughout our region. Marlowe Fire & Security provide a total fire life safety and security solution. Protecting customers across all industries throughout the UK, Marlowe Fire & Security guarantee a flexible and customer focussed service. Mitie Fire & Security Systems are one of the UK’s foremost integrators of innovative fire & security solutions and end-to-end managed services. We deliver and manage highly complex, integrated solutions for national and multi-national organisations across all market sectors including corporate, critical national infrastructure, high security, healthcare and education. As well as providing a full suite of services, from risk analysis and design, through to the implementation and life-cycle management of systems such as CCTV, access control, intrusion detection and fire systems; we have responded quickly to the increasing convergence of fire & security technology solutions with IT expanding its portfolio of technologies and service offerings. We now partner with many of the world’s leading security Original Equipment Manufacturers (OEMs) and IT software specialists to provide customers with a wide variety of solutions to meet their own unique requirements. Profesional provider of Life Safety Systems. Design, Installation, Commisioning and Maintenance. 24/7callouts for piece of mind. We at Rosse Systems Ltd can offer an extremely competitive system which will match and exceed all your client needs and still provide an economic and reliable partnership for the end user once the development is complete. Once installed, we provide full back up with maintenance and call out facilities, all at local level. Snowdonia Fire Protection Limited offers a complete, professional and approved Fire Protection Service to both business premises and private residences. Our team of fully-trained professional engineers offer an extensive range of advice and services. SOVEREIGN ALARMS LIMITED can provide as part of it's ongoing service, the design of systems and the application of equipment to meet the requirements for fire alarms in the protection of life and property. MHS Alarm Services Ltd are a Security and Fire Alarm Systems specialist based in Birmingham, West Midlands with leading edge expertise in the supply, installation, maintenance and monitoring of Fire, Intruder, Access Control and CCTV systems, all on a national basis. For almost 40 years, MHS has been in business, protecting property and people throughout the UK. We are NSI/NACOSS approved, NICEIC approved and are members of BFPSA and BSIA. Thompson AVC provide fire, security, communications and life safety solutions for organisations across the UK. Our expertise in design, installation and support, only using directly employed engineers, ensures the continued delivery of the highest levels of knowledge, skills and quality. Thompson AVC are ‘Committed to Delivering Excellence' in everything we do. Trinity specialises in the provision, design, installation, commissioning and servicing of specific systems relating to fire detection and alarm, PA / VA, EL, fire suppression, access control, intruder detection, CCTV, fire, telephone & loop induction systems, and commissioning and maintenance of portable fire extinguishers. Our dedication ensures that our customers receive the most advanced, custom designed fire protection systems using the best pro ducts available anywhere. At Alarm Maintenance Company Ltd (AMC) we are proud to say that we are one of the largest independent suppliers and installers of fire and safety products in the north of Scotland. With over 30 years' experience, our team of highly-trained alarm installers have been providing all of our customers with a reassuring service since we were established in 2001. Our range of Fire Alarm services includes the specification and installation of new systems and the upgrade of existing systems in line with a suitable and sufficient Fire Risk Assessment These systems can be installed to BS5839, categories M, P and L as required. We comprehensively cover the South East with an office in West Sussex and East Anglia. Our Fire Alarm service engineers have a wealth of experience and qualifications in the installation, maintenance and servicing of fire alarm systems, and would welcome the opportunity to discuss how we can help you. AM securities guarantees all work is carried out to the industry standard, BS4737. Our work is regularly inspected by NACOSS to ensure high standards in both installation and maintenance. Our systems are capable of monitoring, which ensures Police attend verified alarm activations. APE Fire & Security Ltd will continue to push the boundaries of our customers' expectations, continue to improve & develop new technology & provide a fast, effective and professional service. Trading for over 30 years, our business is well-established and boasts a wealth of experience and expertise. ARH Group, founded in 1990 is a forward-thinking, dynamic and professional facilities management and building services company. Providing professional, turnkey service coverage throughout the UK, our depth of knowledge and expertise across the electrical and mechanical and fire industries ensures that we are able to provide a truly integrated service – offering clients a ‘one-stop-shop’ for all their requirements. BusinessWatch Group is one of the UK’s leading fire and security companies. Established over 25 years ago, BusinessWatch design, install and maintain fire alarms, intruder detection systems, intelligent video security systems and access control for businesses of all sizes. With many high-profile customers including Yorkshire Water, National Trust and the Environment Agency, BusinessWatch Group ensure an exceptional customer service experience is delivered every time. Having seen rapid business growth over the last 5 years, BusinessWatch Group plans to continue this growth to become one of the largest independent fire and security companies in the UK. Caledonian Fire & Security (previously Fife Fire) is Scotland's leading independent fire protection company. Established for over 35 years, we offer a comprehensive range of fire protection, security and safety services - from conducting fire risk assessments on your building through to maintaining your fire extinguishers. At CDS we specialise in commercial interiors and shopfitting, our 360º service includes concept design, all shell and core works, in-house manufacture of fixtures and fittings, installation and maintenance. Churchesfire are able to design, supply and install the correct equipment for your needs. Offering a bespoke service Nationwide why not have a no obligation chat with one of our projects team - we are sure you will be impressed with our professionalism and commitment to customer service. Tell us what you need, and we’ll take care of the rest. We’ll make sure you’re fully compliant with every regulation that matters – We design, install, commission and maintain fire alarm and detection systems to BAFE SP 203-1. Our UK helpdesk is open 24 hours a day, seven days a week. We keep in touch before, during and after the job – to make sure everything runs as smoothly as possible. We are a fire alarm company who's headquarters are based in Surrey, close to the M25. Elite Fire can provide the whole package for any size of system in any type of premises. The main protagonist's within the company have over thirty five years of fire engineering experience between us, giving an unparalleled amount of knowledge of the industry. NOTIFIER Fire Detection Systems, incl. large networks, graphics packages, etc. The Fire and Security Contractor You Can Rely On. GE Fire and Security are a Hampshire based Fire and Security Contractor. We are extremely proud of our hard earned reputation for first-class workmanship that is the result of our relentless focus on our three core values; Trust, Reliability & Quality. We provide a comprehensive range of services covering initial design to installation and commissioning. Our 24 hour call out facility is available for both contract and non-contract customers. With 300+ employees and 60+ service engineers we cover the whole of the UK as a National company, divided regionally to provide local services. Our Main Contract works include new and major alteration to existing Fire Protection / detection systems including Retail, Industrial/Warehousing, Commercial, Residential and Education. Harmony are a global leader in fire, security & life safety systems. We work with clients to design specialist integrated fire detection and suppression solutions to ensure protection of life, assets and business continuity. Harmony provides a comprehensive design, implementation, delivery and maintenance strategy giving clients a complete end-to end solution, which achieves real measurable results for our clients. We call it Think Protect Sustain and it has transformed our clients’ experience. Weston Electrical Services Ltd is a well-established family-run business that has traded for over 32 years providing a first class reliable service in all fields of electrical and mechanical contracting. Independent Fire and Security, with a head office in Barnstaple, is a locally owned and operated company with knowledge and experience of the fire and security industries spanning 50 years. We cover the south and west of England and, as our trading name suggests, are an independent privately owned company. Jensen Security and Fire Systems design systems to protect property and life. All our systems benefit from our experience and continual training to make sure you always get the latest and best system. We pride ourselves on our excellent customer service and making sure you get the security you need. Our quick response and expertise in the industry is second to none. Keyways is a true solutions-based security and alarm company. We take a responsibility for the design of burglar alarms, locking systems, fire alarms, CCTV systems, access controls, barriers, gate automation and more, in fact whatever it takes to provide a properly integrated system. As a family company with well over 40 years trading, and a wealth of in-house experience, we have the expertise to look after your security and safety requirements. King Communications & Security Ltd are at the forefront of intelligent IP CCTV & Networked Solutions. Innovation and Integration are our two core business skills that help us meet all of our customers needs - no matter how large or small. Established in 1992 Logic Systems Fire and Security Ltd are specialists in the Design,Supply,Installation,Commissioning and maintenance of Fire Detection and Alarm Systems. They have a wide customer base from Blue chip companies to privately owned businesses. All works are undertaken in accordance with the British Standards and the IET wiring regulations. Established in 1992, MECE has been serving the Fire and Security Industry for over a decade. During this period we have developed our expertise to position MECE as a 'major player' in the industry. MRM Solutions are a leading independent specialist electrical contractor specialising in the supply, design, installation and maintenance of fire protection, security, life safety and communication systems to the end user as well as to large construction related companies. At Planet Fire and Security we pride ourselves on delivering the highest levels of customer service through our team of experts. We have over 20 years experience in fire safety and security which means you will always receive the best possible guidance, we combine this with offering a tailor made service to suit the needs of you or your business. PLP Fire & Security offer an extensive range of cost effective fire safety services, our friendly and professional team will advise innovative and compliant solutions to all your fire legislation requirements that will help towards making your premises a safe working environment for your staff and your customers. Our philosophy is to provide our customers with service and support beyond the normal, our commitment to provide an innovative, high quality, cost – effective solution in response to a constantly changing market in which our clients operate. Specialist sector experience means you get advice on solutions relevant to your specific compliance and operational needs not simply generic fire and security systems. Whether you want us to take over the maintenance of an existing system, integrate some additional functionality or simply provide a second opinion. You are guaranteed a ‘best fit solution' supported by the highest service levels. RJ Stearn Ltd provides fire alarm and security systems nationwide by our friendly and fully trained teams. Trading for over 90 years, we have built a strong reputation in the retail, industrial and commercial sectors. At Clarkson Safety Services we recognise your need for a safe and secure working environment, we achieve this by careful design, supply, installation and maintenance of fire alarm equipment, all in line with the current British Safety Standards throughout the UK. At Clarksons we are committed to providing clients with the highest level of product capability, expertise and service, site supervision and backup. The company enjoys a reputation for providing ‘peace of mind' products and services of the highest quality at cost-effective prices in todays' cost conscious business world. The staff possess innovation and technical expertise with a genuine desire to satisfy our clients' needs in full. RV Fire Systems specialise in the supply, installation and maintenance of Fire Detection & Suppression systems. AIS Total Security specialise in the supply, installation, commissioning and maintenance of fire detection and alarm systems to commercial, industrial and care home premises. AIS are part of the Securus group and is one of nine branches providing national coverage for the installation and maintenance of fire detection systems. SENSECO SYSTEMS LIMITED is an industry leading independent Fire and Security Company. Acknowledged for their engineering capability across a wide and varied range of systems. They are also the first and currently only "Carbon Neutral Certified" Fire and Security Company in the UK. Fire Alarms and Security is our specialty. We pride ourselves on being one of the UK premier choices for state of the art CCTV Intruder Alarms, and Security Solutions. We can offer advice, assistance, service, repair and maintenance in all areas as follows. T2 Technology Limited is one of the UK’s leading privately owned protection solution companies, specialising in the supply, installation and commission of fire safety and protection systems.Our breadth of knowledge and expertise within the protection industry enables us to provide an unrivalled and much envied service. TF Installations Limited, have been appointed as an Engineered Systems Distributor (ESD) for Notifier Fire Systems, part of Honeywell International Inc, who are one of the worlds' foremost manufacturers and suppliers of equipment for fire detection systems. As an approved specialist, we have been recognised by the innovative manufacturer with awards for the proven quality of installation and level of service. Trafalgar is a fire specialist, we know that to do the very best job, we need to be outstanding at what we do and that takes time, effort and investment in training and systems, to support our specially selected and employed team of qualified engineers and support staff. We will listen carefully in order to understand your situation so we can provide you with the right advice and solutions quickly and efficiently. Trinity specialises in the provision, design, installation, commissioning and servicing of specific systems relating to fire detection and alarm, PA / VA, EL, fire suppression, access control, intruder detection, CCTV, fire, telephone & loop induction systems, and commissioning and maintenance of portable fire extinguishers.. Triple Star Fire & Security Ltd. Highly experienced fire industry professionals and specialising in the supply, installation and maintenance of a huge range of fire safety equipment, including fire alarm systems and fire extinguishers. So whatever your fire safety requirements, contact Triple Star Fire for a professional, affordable fire protection company you can trust! Ventol Limited is a fire and security company dedicated to safeguarding your business, employees and property whilst ensuring all current regulation requirements are met in full. As a result of the combined expertise within the company we are able to offer an installation service for regulated fire safety and security products that has been meticulously designed and manufactured to the highest specification. We also provide a comprehensive level of planned and reactive maintenance, technical support and a dedicated contact for your after sales service. Waveley Fire and Security is a well established BAFE accredited Fire Detection and Alarm System specialist based in Cardiff. At Waveley, we invest greatly in our staff and management to provide the most up to date knowledge in design, installation, commissioning and maintenance of fire alarm systems in accordance with BS5839 part one. Established 30 years ago, WOT Fire and Security Group has grown into one of the UK's leading specialist companies in the Fire & Security industry. We are an independent, British owned company and a member of the Plexus Group. The Plexus Group is the UK's largest group of independent security companies, offering a nation-wide, personal service and installation capability. 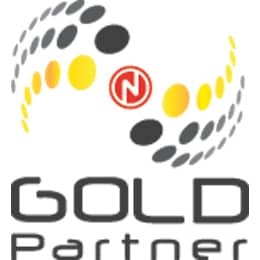 WOT Security Group are NSI Gold accredited installers, NSI Gold Fire/ BAFE accredited installers and members of the Master Locksmiths Association.